Dr. Doyle has lived in the area all his life. He was active in several 4-H clubs and graduated from Wamogo Regional High School which is located just up the hill from the practice. He attended the University of Connecticut for two years and then went on to the University Of Illinois College Of Veterinary Medicine where he received his Bachelor of Science in 1969 and D.V.M. in 1971. Dr. Doyle started this practice in 1972 in the small house that still sits on the property. 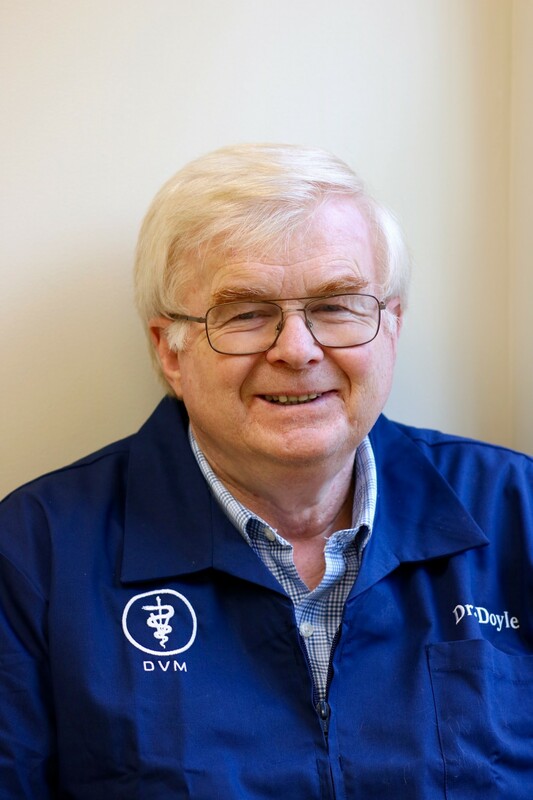 Dr. Doyle lives in Morris with his wife, one Labrador, Cole and four cats. He is very active in the community and enjoys taking his dog on walks through out the countryside. Dr. Doyle isn't currently scheduled to see patients at this time, he is now filling in as needed for our practicing Veterinarians.